Chicken liver mousse is Emily’s favorite condiment, if you can even call it that. She would eat it every day if she could. And honestly, now, because the Anova Sous Vide Precision Cooker makes it so quick and easy, she has been (no joke). Her favorite preparation is on buttery toast points with a pickled red onion on top. This sous vide chicken liver mousse will keep, refrigerated, for up to 2 weeks (if you don’t eat it all first). 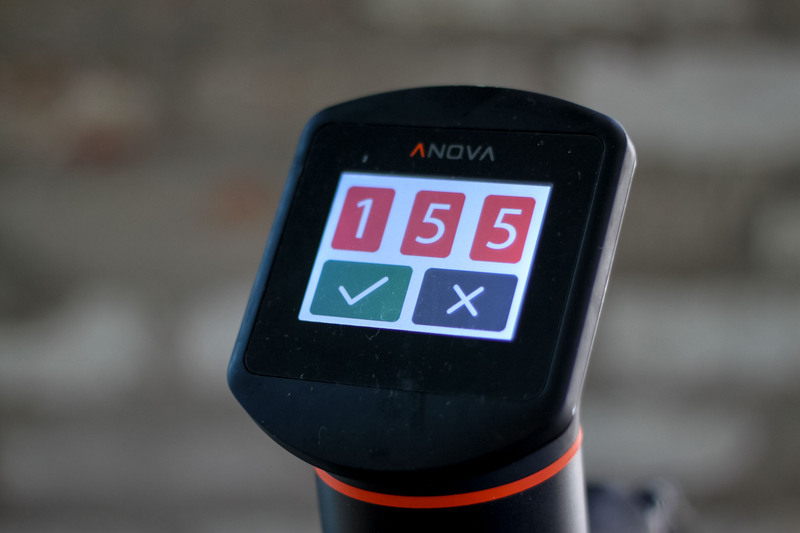 Set the Anova Sous Vide Precision Cooker to 155ºF (68ºC). Combine the bacon, shallots, and thyme in a large non-stick skillet. Place over medium heat and cook, stirring frequently, until the bacon has rendered its fat and the shallots have just begun to caramelize, about 15 minutes. Remove the pan from the heat and add the brandy. Scrape up any browned bits from the bottom of the pan. Let cool for at least 15 minutes. Strain the mixture through a fine mesh strainer set over a medium bowl. Discard the solids and reserve the liquid. 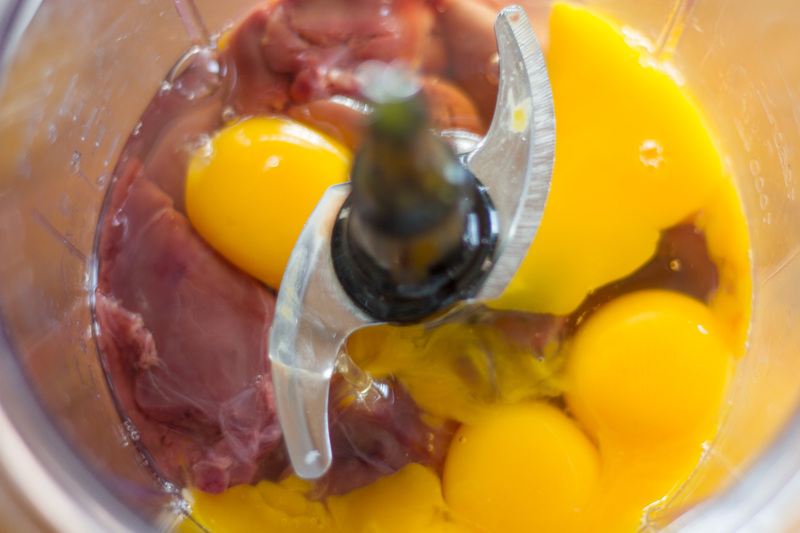 Combine the reserved cognac, chicken livers, eggs, heavy cream, and salt in a food processor or blender. Process until completely smooth, about 3 minutes. Divide the mixture between four 8-ounce canning jars. Seal each jar and place gently in the water bath. Set the timer for 1 1/2 hours. When the timer goes off, remove the jars from the water bath. Transfer to an ice bath and let cool completely. Refrigerate cooled mousse for at least 12 hours before serving.